Lead Paint - Pulvers, Pulvers, Thompson L.L.P. According to the Center of Disease Control and Prevention at least 4 million households have children living in them that are being exposed to high levels of lead. 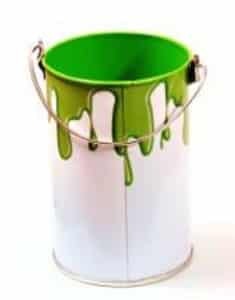 Lead is a toxin which was once frequently used in making paint. However, due to the discovery of serious health issues, lead paint has been banned in the U.S since 1978. What are some side effects of being exposed to lead paint? There is a wide range of possible effects from being exposed to lead paint, these include but are not limited to: stunted growth, leaning disabilities, central nervous system issues, seizure and possibly death. In recent years the number of lead paint poisonings in children has greatly decreased. This is likely due to the rigorous requirements that children be tested by their health care providers. Despite this decrease New York is still one of the leading cities associated with lead poisoning. Inspection programs are frequently insufficient to protect the public in large urban areas, where there is a greater number of older buildings which are likely covered in this lead paint. Lead poisoning liability can fall upon the landlord, if the poisoning occurred in a rented unit, or liability can extend to the manufacturers, distributors or sellers, if a child is exposed to lead through a product. Some children’s toys which were recalled due to the discovery of lead paint include; 1.5 million Thomas & Friends trains and rail components by RC2 Corporation, and 2 million of the Sesame Street and Dora the Explorer toys made by Fisher Price. Many apartments in New York City have been painted using lead paint. If you, or your child, has been exposed to lead paint contact a personal injury lawyer in nyc today.